Properties in Swimming Hole average 4.8 out of 5 stars. Property 2: Affordable, Family-Friendly All Seasons Getaway. No cleaning fees! Property 4: Great Snow Fall! Availability- February 23rd- March 8th!! Property 6: Stowe Townhome w/ Deck, Mtn Views & Resort Perks! 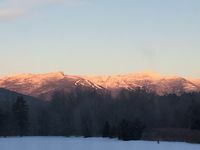 Property 9: Ski In Ski Out on Stowe's Mt. Mansfield! Highest Peak in VT! Property 11: Stonybrook Community Townhome w/Pool & Mtn Views! 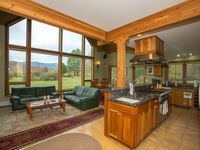 Property 12: Chic yet Cozy, Ski-In Ski-Out, Near Everything Stowe! Property 19: Luxurious Townhouse at Topnotch Resort & Spa, Last Minute Deals! Property 20: Affordable Charm in the Center of Smuggs Village: Summer Paradise! Property 23: Deluxe, Spacious, Cozy | Access to Award-Winning Spa and Tennis! Property 30: Stonybrook * Near Trapp Family Lodge & Bike Path!